Jupiter diving offers the some of the best drift diving anywhere in the world, as the Jupiter Inlet is the closest inlet in the US to the Gulf Stream. We see aquatic life that includes big sharks, rays, jacks, Goliath Groupers, and other healthy creatures. With depths in the 70 – 110 feet range, the diving is Jupiter is considered by us to provide all divers a unique opportunity to see the best our seas have to offer. We offer dives appropriate for newer divers as well as the most advanced divers – just give us a call and we will help select the right trip for you. 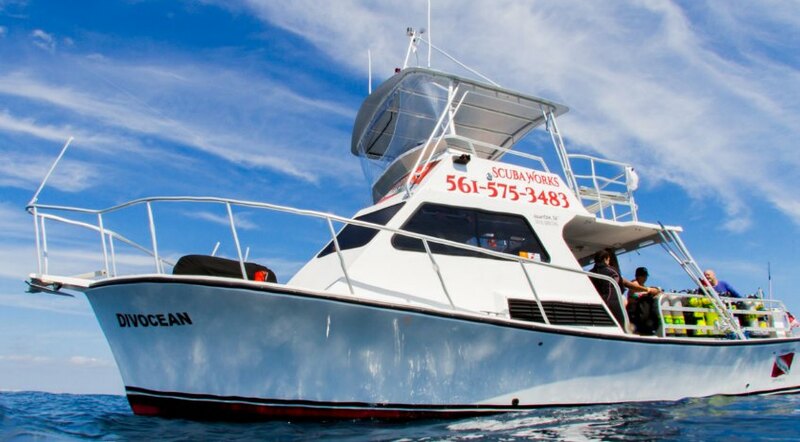 Whether you wish to see our beautiful reef and ledge systems with Goliath Groupers, eels, tropical fish, turtles, and other awesome species, or if you wish to participate in shark encounters, spearfishing trips, and lobster hunts……… we offer it all.